3rd year Pic 223 - May 09 2011 Coppersmith Barbet Earlier I had captioned it Woodpecker which was wrong Leica V-Lux 20 Best seen in large size. Ranthambhore Thank you all for your comments on Mt Cook morning picture! 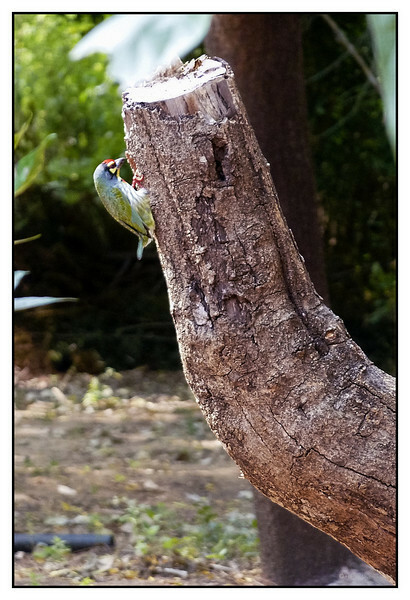 A wonderful shot .Our woodpeckers are illusive. This guy seems at ease. Thanks for all the comments on my galleries. What a really cool shot Harsh! This is just the best!!!!!!!!!!!! Have a great week my friend.